How Great is the Pleasure performed by the Linden Corner School Chorus, Nashville, May 20, 2005. Like many of my elementary school choirs over the years, this was an unauditioned chorus consisting of every child in each grade level that participated in choir: in this case, every child in grades 4, 5, and 6. This performance came at the end of my first year teaching at Linden Corner, the first year that the school had a choir program. Although this performance is not as fine in terms of intonation, blend, and nuance as those achieved by auditioned or more experienced ensembles, I still found that this song drew a special kind of enthusiasm and engagement from the children. Many of these children, left to their own inclinations, would probably not have participated in choir. In the songbook that I first encountered How Great is the Pleasure, the song was attributed to Henry Purcell (1659-1695) – I have seen it so attributed in several sources over the years, both in print and on the internet. Purcell did write many canons – catch singing was a popular pastime in late seventeenth century, and Henry was an enthusiastic participant. He is credited with composing 53 catches, including this rambunctious one which was very popular with my students. But he did not write How Great is the Pleasure – it was composed about eighty years later by an English doctor who was also an enthusiastic amateur composer. 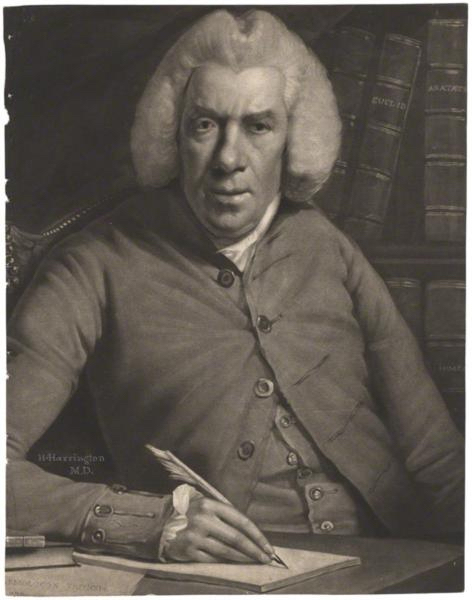 Born in Somerset in 1727, Henry Harington studied medicine at Queen’s College, Oxford and became a physician, practiced first at Wells, then eventually settling in Bath in 1771. While he was at Oxford he sang and played he flute, and was a member of William Hayes’ “Club of Gentlemen Musicians”. 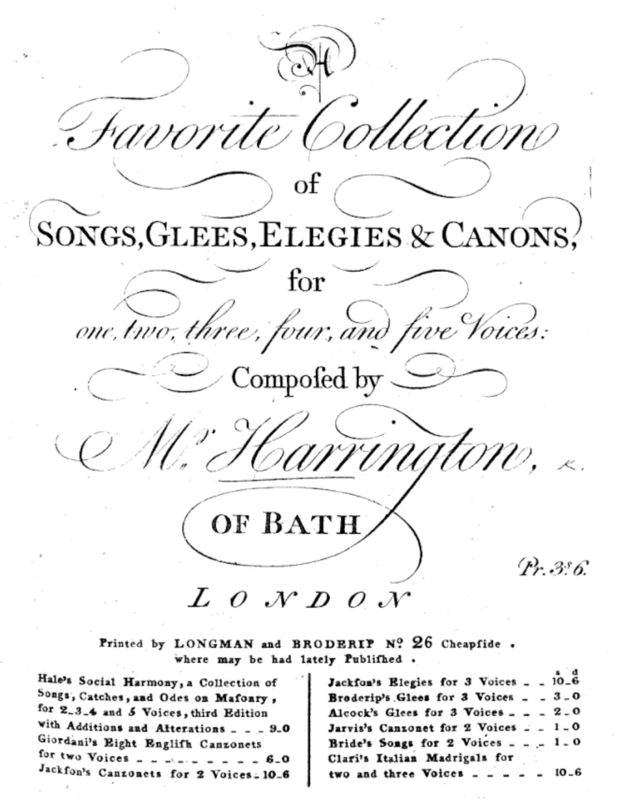 Clearly Dr. Harington’s enthusiasm for music-making continued even as he developed his medical practice and his social standing within the community (he eventually became mayor of Bath) because beginning around 1780, he published several collections of popular songs. In all he is credited with composing at least 76 glees, catches, trios, songs, and duets. How Great is the Pleasure is to be found in the first volume, A Favorite Collection of Songs, Glees, Elegies and Canons. I first encountered this song in the key of A (the original), but pitch standards were lower in the eighteenth century. 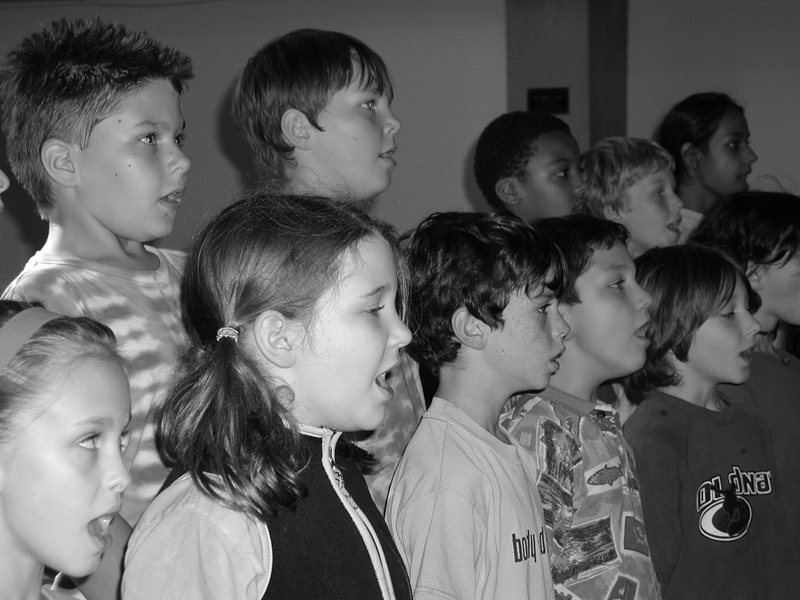 When I first began to teach this to children, my school choir began at third grade. At modern pitch I found this key (which drove the melody up to an F# on the top line of the treble clef staff) to be a bit too high for some students, so I put it down a step to G, and that was the key we sang it in thereafter. The text we learned was identical to the original with one exception: in the version we learned, the word kind was used instead of the word soft. When I first sang this song with students at Blue Rock School, I did not have access to a piano for my music classes, so I accompanied the students on guitar, if at all. (It’s a simple enough chart in G – just three chords to learn!) Over the years we sang and played it in many versions, with piano or guitar accompaniment or just a cappella. In some classes, when I had student instrumentalists too, we would work up impromptu arrangements for string instruments or recorders – usually these students just playing the canon along with the singers. My usual – and favorite – way to sing it was to have the entire group sing the canon once through in unison, then, divided into three parts, each section entering until everyone was singing. 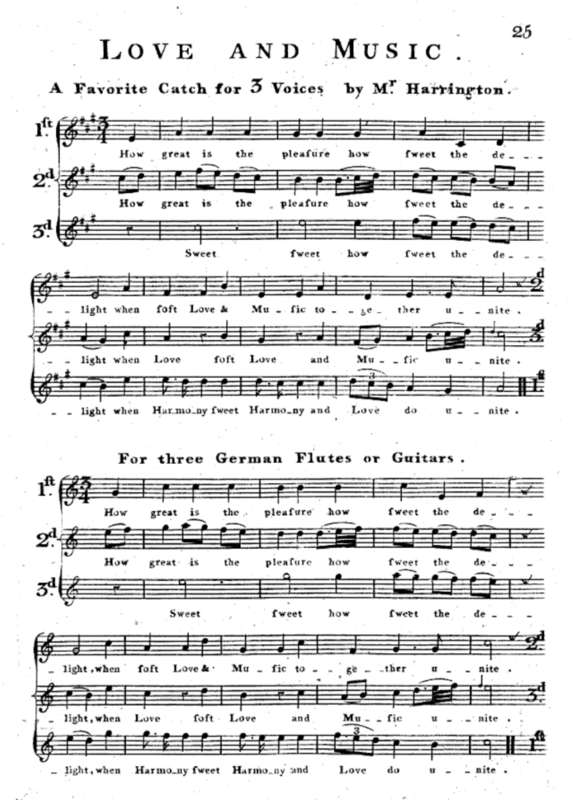 Often I accompanied this canon on piano, and would stop playing for the penultimate strain – the choir singing the three parts in harmony a cappella – then return to the piano accompaniment for the final strain, ending the canon with a full-voiced fermata on the final half note with all three parts together. At Nashville School of the Arts, this song was the first I taught to each new class in the choir program. I began each year with an in-depth review of solfège for every choir, and How Great is the Pleasure was the first piece that students learned to mark and sing on solfège syllables, as illustrated here . My most touching memory of singing this song was with the combined choirs of NSA, before our performance of seven choruses from Mozart’s Requiem with Music City Youth Orchestra on May 1, 2012. Over a hundred high school choristers in formal dress gathered shortly before we went onstage in a cavernous space backstage at the Tennessee Performing Arts Center. It was a large enough room that we could stand in a circle, and after an initial warm up and a pep talk I divided the group into three parts silently with gestures, and we sang our choir theme song. Truly, how great is the pleasure. 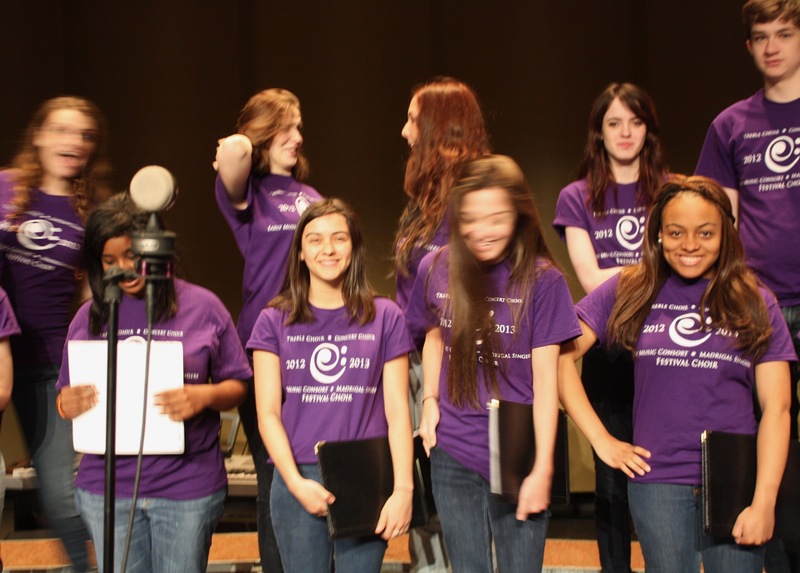 I saw looks of wonder on the faces of the parent chaperones who were in the room with us as we sang, and my eyes stung. Beautiful sweet clear voices rose in simple pure harmonies that filled the room and the excitement and immersion of the choir in our experience of being together in that moment was, for me, unforgettable. 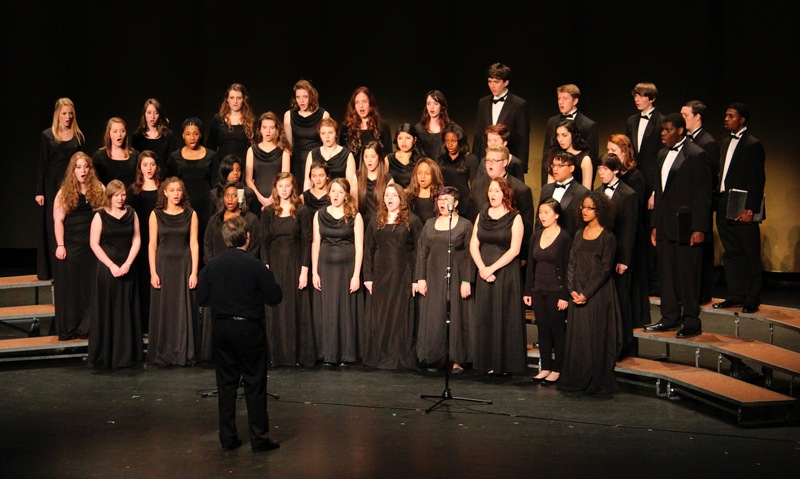 It’s a common practice for choir directors to program songs in praise of music itself – it’s a time-honored aspect of “choir culture”. There is something special about the emotion we feel when singing these pieces, songs that acknowledge directly how precious this experience is, texts that allow the choir and those listening to reflect on music-making while we are doing it. How Great is the Pleasure was not the only piece like this that I programmed with my ensembles – notable paeans to music we sang included Händel’s beautiful aria Art Thou Troubled? and O Music, Sweet Music, (also a canon) by Lowell Mason, who is sometimes referred to as the father of American music education. Both of these pieces are fine examples and were beloved by my choirs, but neither had the broad appeal and flexibility that allowed me to bring How Great is the Pleasure to all of my choirs, regardless of age or ability level. This article appeared in the January/February 2019 issue of Choral Director Magazine. By walterbitner in Choral, Music, Music Education, Pedagogy on December 14, 2018 .